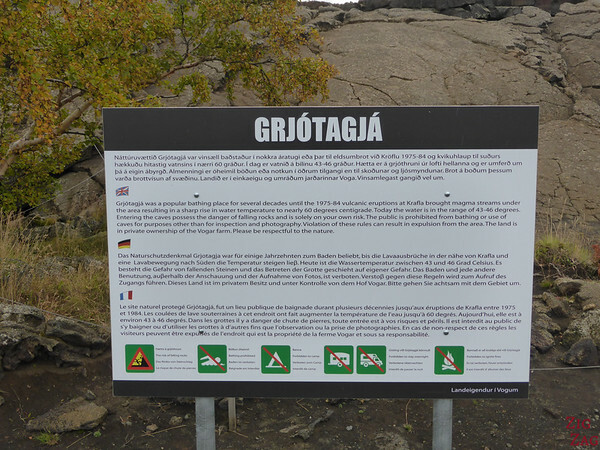 Grjotagja Iceland is one of the lesser known places to visit near lake Myvatn in North Iceland. 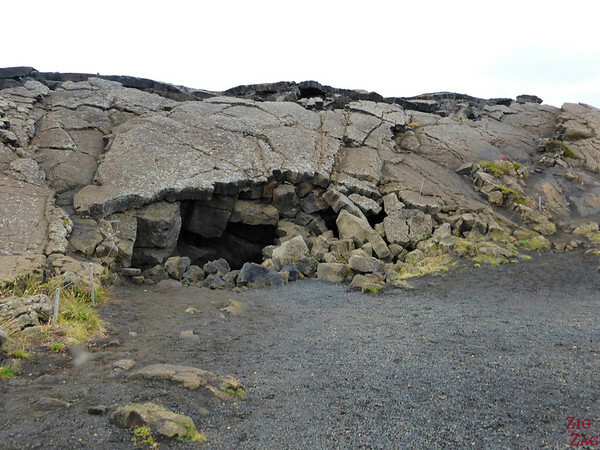 People hike up volcanoes, walk in hot lava fields and admire crazy lava formations. 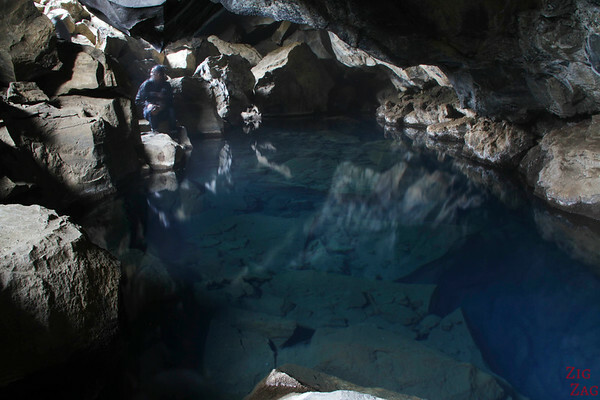 If you want to explore off the beaten path, this hot spring cave is filled with deep blue geothermally heated water. Another volcanic wonder worth the short detour! 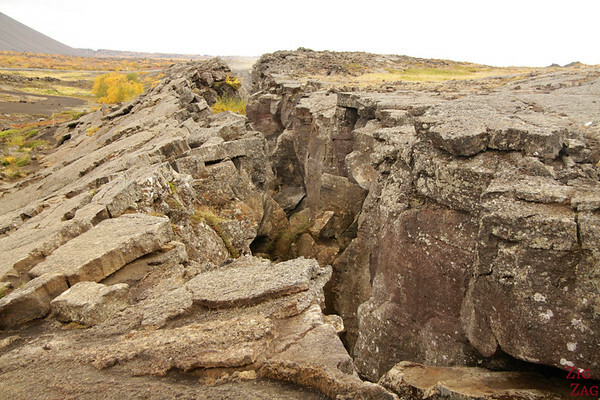 Grjótagjá, located near Lake Myvatn in North Iceland, is a small cave created by a fissure in the crust. 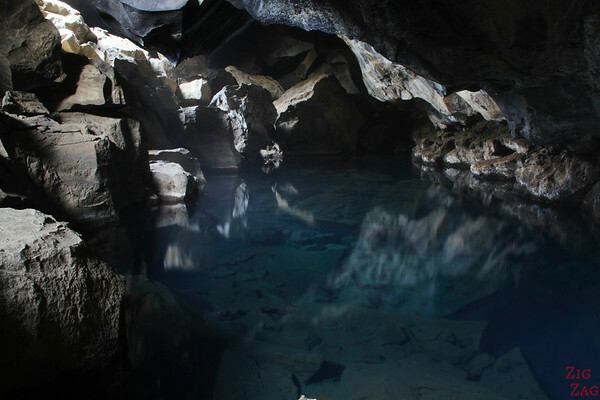 It is filled with geothermally heated water in a pool that is between few centimeters and few meters deep. 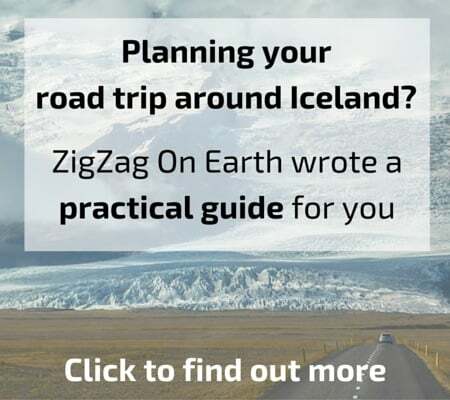 It used to be a popular bathing place until the volcanic activity in Krafla over the period 1975-1984 which caused the temperature of the water to rise. Now it is cooling down but it is still between 40 and 50 degres Celsius and bathing is forbidden. The cave was discovered when part of the ceiling fell off. This is raw nature so please be careful the roof is not stable. 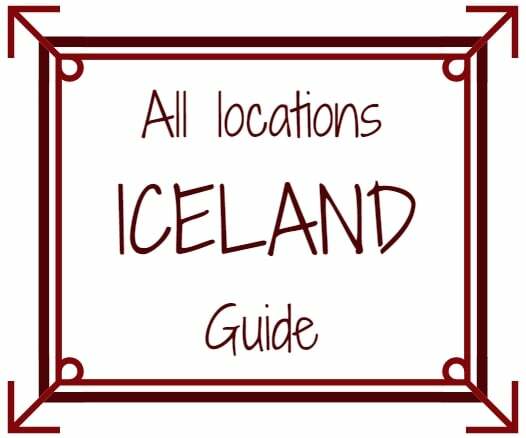 Note: the other option to bathe often cited is Stóragjá in Reykjahlíð. However at the moment high levels of bacteria have been measured and bathing is not recommended. From Reykjahlíð (village East of lake MYvatn) take road 1 towards the East (Egilsstaðir). After about 1 km take exit togravel road 860 where Grjótagjá is clearly indicated. This is accessible to 2WD and there is a large parking in front. 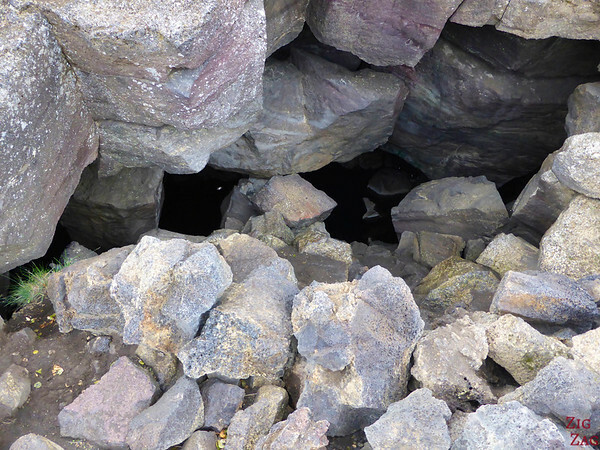 There are 2 entrances to the cave. Both require that you climb down a small wall of big rocks. It is not too difficult but not recommneded for people with knee problems. 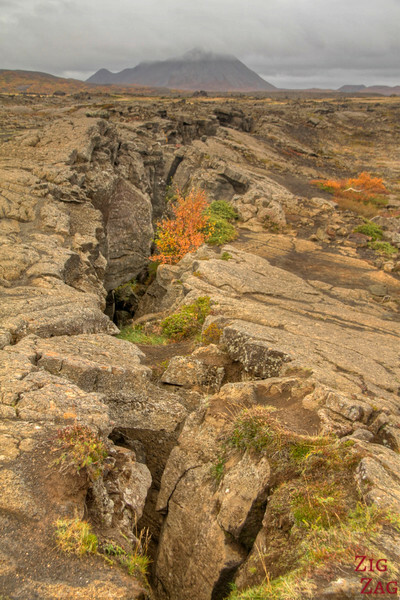 Don’t forget to also take the path above the cave where you can admire the fissure in thec rust. Below are pictures of the right entrance. As you can see there are big rocks that fell off, allowing us to admire the work of nature. Be careful as the roof is not stable. At the bottom of both entrances you can fit 3 people to admire and take pictures so if a group arrives at the same time as you, you might have to wait a long time before getting inside. Once inside you can admire the deep blue of the transparent water and enjoy the steam on your face. While I was there, one girl decided to bathe and seemed to enjoy it. It was just slightly annoying for us at the other end trying to take pictures of the cave. More than the cave itself what I prefered was walking above and seeing this huge crack. There are several paths to walk along it. I found it was very impressive. And it made me realize that being in the cave was maybe not the safest place around here… And I lvoe how some plants just start growing along the wall of the fissure. Nature always recover! How about you, would you bathe in this cave?